ACBW provides an opportunity for small and independent brewers, craft beer enthusiasts and their community to celebrate the ever advancing beer culture here in the U.S., and we’ll celebrate right here in the heart of Alaska. We are excited to announce our involvement in American Craft Beer Week, 7 days designated to celebrate delicious craft beer. 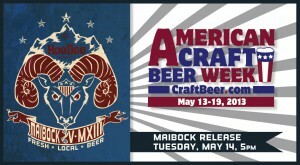 American Craft Beer Week is next week, from Monday May 13 through Sunday May 19, 2013. During American Craft Beer Week, Fairbanks beer drinkers can expect events that will entice their senses. Hometown Love: Click the image to read a Fairbanks Daily News Miner article about our participation in ACBW and our new Maibock release. For our first year, we will feature taproom events like Dumplings & Tea with Sipping Streams Tea Co., a Brat cookout with Homegrown Market, the release of HooDoo’s new Maibock lager, beer classes with Bobby, an all American Vinyl Tuesday, and a toast that will be read simultaneously with all the other participating breweries in the country. There will also be specials on beer flights as well: $6 for four 4oz tasters and $10 for four 8oz beers. 6pm: HooDoo Limerick Contest begins on Facebook. 5 winners will be chosen on Wednesday and invited to read their limerick in the taproom on Thursday, May 16. The crowd will decide an overall winner for grand prize. 3 – 8pm: All-American Vinyl Tuesday. Guest DJ Brady Gross from KSUA 91.5, UAF’s college radio station, will spin an all american set to kick off ACBW 2013. Local artist Lucas Elliot designed the limited edition posters and tees that will be available to commemorate ACBW ’13. 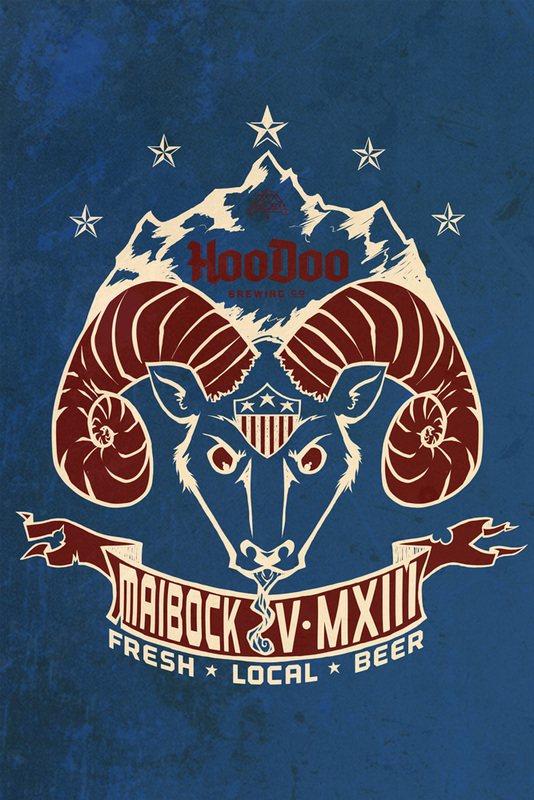 Limited Edition Maibock Tee shirt and posters featuring a design by local artist Lucas Elliot will be available for sale after the Maibock is tapped. 5:30pm: Brewmaster’s Beer Appreciation Class. 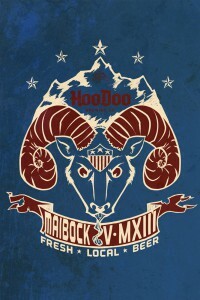 In these classes, Bobby will sample people on HooDoo’s beer, giving an in depth teaching about the style, origins, ingredients and brewing techniques. Discussions about common flavors and tasting beer will be included. $15, includes a take-home tasting glass. Limit 15 people. Reservation recommended, as seats will fill up. Call 459-2337 or inquire at the taproom. Owner Jenny Downer-Tse used our beer as inspiration to create mouthwatering Chinese Dumplings, bundles of pasta stuffed with a meat or vegetable filling, served with beer infused dipping sauces, that make for good eating, especially when accompanied by your HooDoo beer. Come enjoy these sure to be fabulous combinations! Price: $3/dumpling or $10 for four. 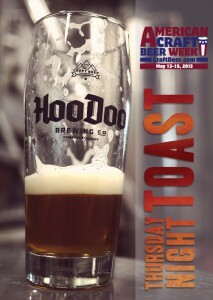 Come for the national toast, Thursday May 16, 4pm sharp! 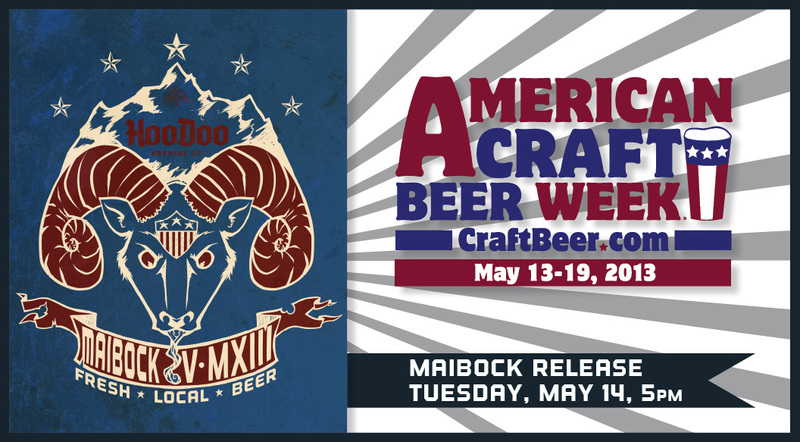 Come celebrate a new American Craft Beer Week Tradition right here in Fairbanks, Alaska. 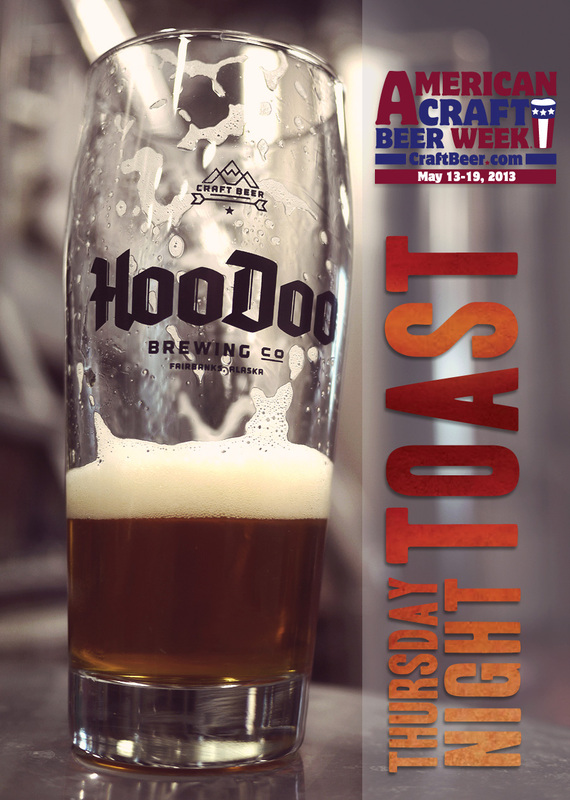 For the first time ever, ACBW will be commemorated by a simultaneous toast. At 4:00 p.m. Alaska Standard Time on Thursday, May 16, small brewers and craft beer lovers nationwide will raise a glass of their favorite craft brewed beer to toast ACBW and the delicious beer that it celebrates. We’ll have a crowd here and we are looking for about 15 people to each take a line of the toast to read out load, and proud. Come join in the fun as we toast from North to South and Coast to Coast in celebration of local, fresh craft beer! 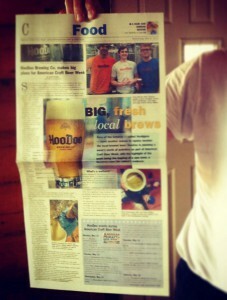 6pm: First Annual HooDoo ACBW Limerick Contest winners reading in the taproom. We’ll choose five standouts of the limerick contest, and they are invited to come read their limerick to the taproom crowd. Of the five winning limericks that were submitted on Facebook, the crowd will decide the overall winner. 11am: Homegrown Market Brat Cookout. To close out American Craft Beer Week, our friends at Homegrown Market will be cooking up their delicious, locally made brats and fixings outside the brewery. During Alaska Beer Week in January, a brat and beer pairing with Homegrown was one of the most popular events, so you won’t want to miss this! Cost will be around $3-5. Come have a locally produced lunch at the brewery! 2pm: Brewmaster’s Beer Appreciation Class (see above for description).